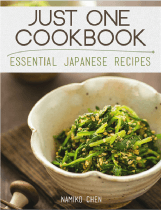 Japanese consume seaweeds for both its nutritional properties and culinary values. 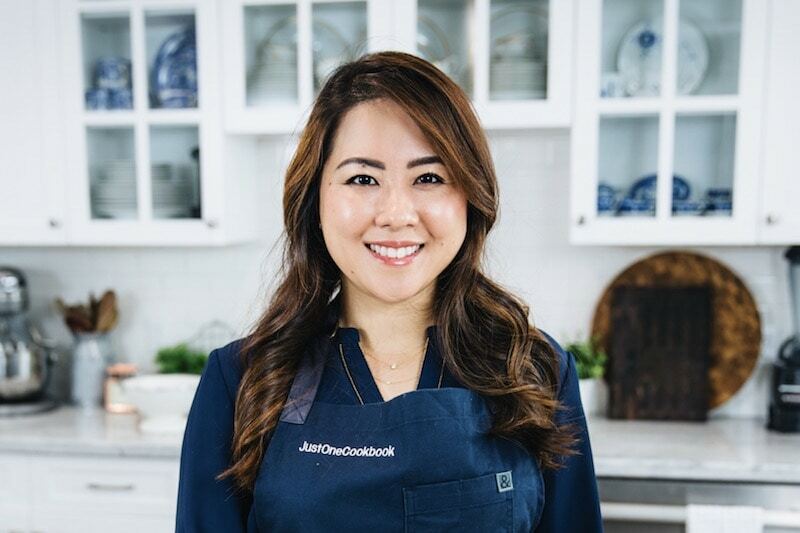 Today we will explore the varieties of edible seaweed used in Japanese cooking, their remarkable health benefits and how you can incorporate these sea vegetables in your diet. Seaweed, or marine plants and algae, are plant-like organisms that grow in the ocean, rivers, lakes and other water bodies. 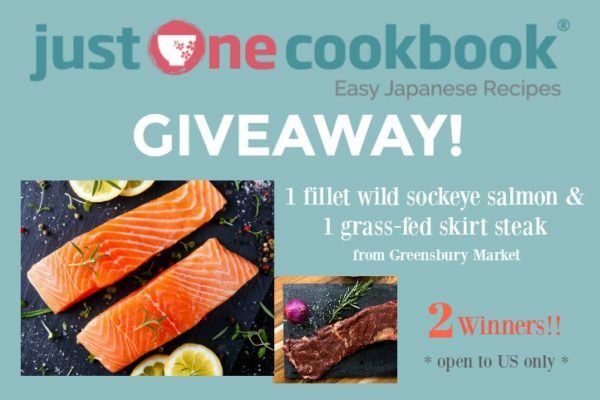 The edible seaweeds are also known as sea vegetables, where they have been used in traditional medicine, farming and healthy diets in different parts of cultures, from Asia to the Western worlds such as Scotland, Ireland and Iceland. As vast as the ocean, the varieties of seaweed reflect its complex biodiversity with over 10,000 species. They are often categorized based on their cell structures, pigments, ecology and uses. The 3 common varieties are: red algae (nori and dulse), brown algae (wakame, kelp, kombu), and green algae (spirulina and chlorella). 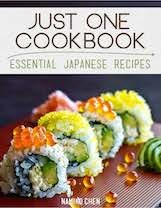 Comes in paper-thin dark green sheets, nori is the most prominently known and most consumed seaweed worldwide. 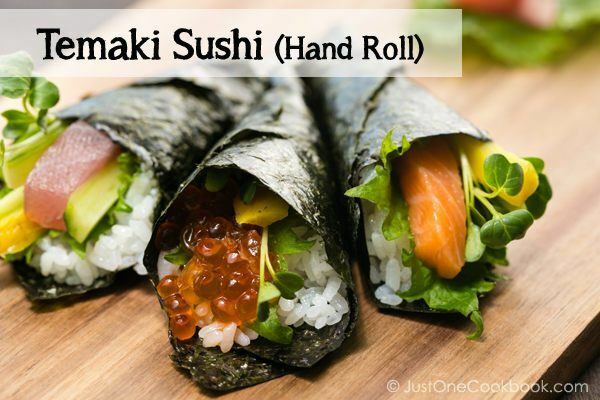 Used mainly as an ingredient of wrapping sushi, nori is made by shredding and drying seaweed before pressing it into thin layer – a method adopted from the paper making process. Aside from sushi and onigiri rice balls, nori is also used as delicious garnish for noodles, rice bowls (donburi) and soups. 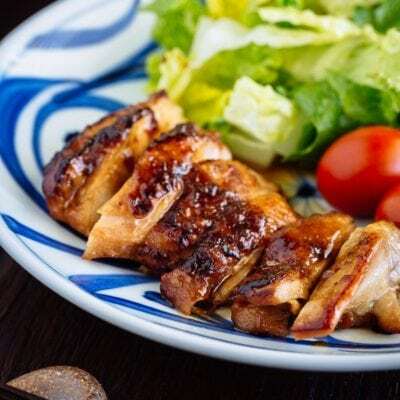 When chopped into small fine pieces, nori is mixed in with ingredients such as sesame seeds, chili pepper, salt and sugar as a table seasoning. You can find nori being sold toasted or non-toasted. 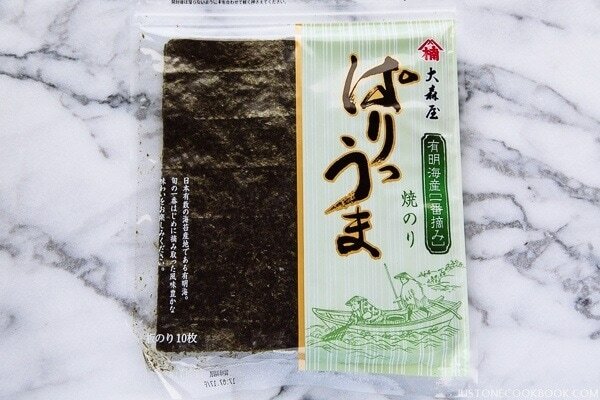 Nori snack (a.k.a nori chips or seaweed snacks) is another popular product of toasted nori that are simply roasted and seasoned with salt and enjoyed as a delicious savory snack. 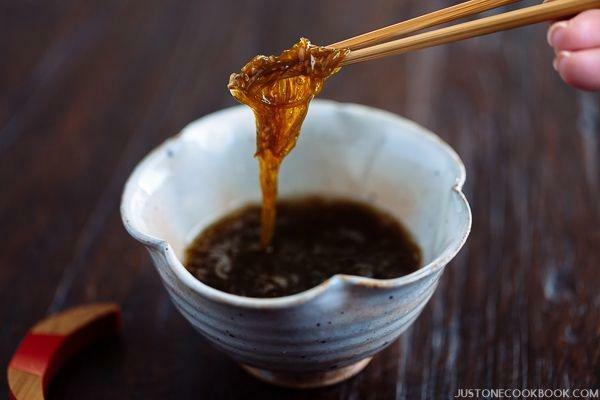 In Japan, nori no tsukudani (海苔の佃煮) is another classic way to enjoy the seaweed, where it is flavored with soy sauce, dashi, sake and mirin and made into a paste-like accompaniment for steamed rice. Dark green with thick leather-like texture, Kombu, also known as kelp, is the quintessential ingredient in Japanese pantry. 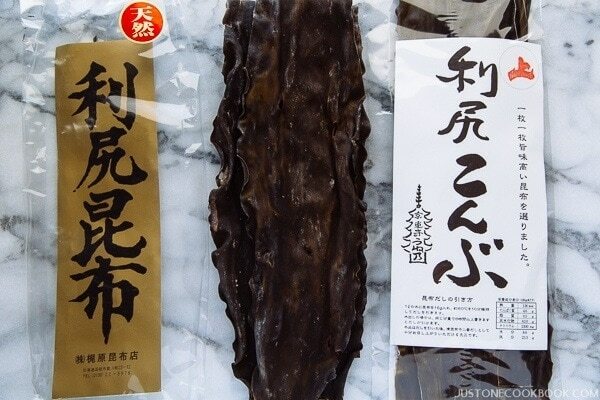 Japanese kombu is cultivated mainly in Hokkaido (北海道) which has long-standing methods of kelp harvesting. There are more than ten species of kombu kelp and each has its own characteristic of taste and flavor. The highest quality kombu kelp is Ma-Kombu, which are shaped like thick wide leaves. 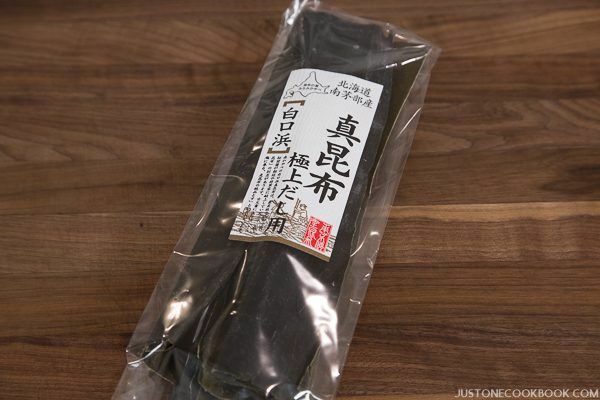 Known for its refined sweetness and deep flavor, this kombu is a chef’s choice for producing clear, delicious stock. 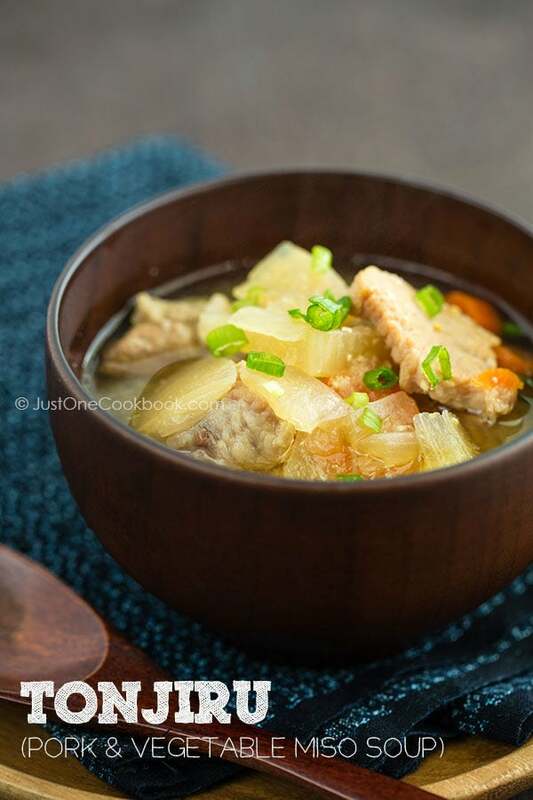 In Japanese cuisine, kombu is used most extensively in making dashi, the umami-packed Japanese soup stock. 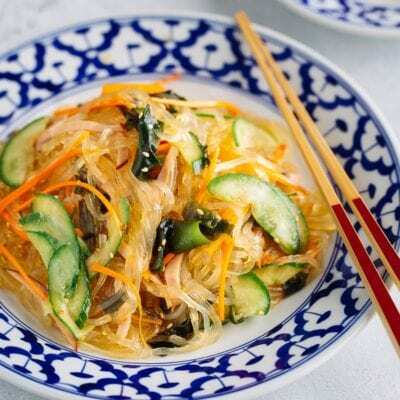 The high glutamate content presented in kombu makes it a sought-after natural flavor enhancer. Most kombu are sold in dried form. You can also find kombu pickled in vinegar or eaten fresh in sashimi. For those who consume large amount of beans, you can add strips of kombu into dried beans as you cook. This magical ingredient will help to tenderize the beans and reduce the gas-producing properties. A great solution for bean eaters! Grown in cool and mineral rich arctic currents, wakame have been harvested in Japan for generations since the Nara period. The taste is briny and salty, much like a mild anchovy with a subtle sweet flavor. 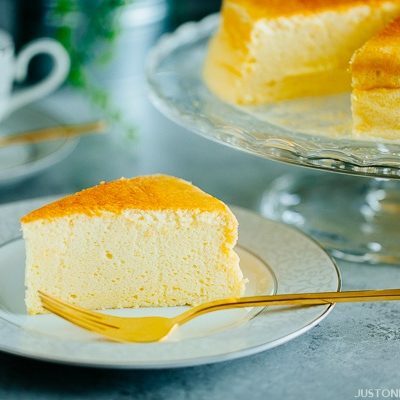 It has a unique tenderness that comes with a light crunch. Wakame is commonly used in soups like miso soup and salads like tofu salad, as well as a side dish to vegetables, like cucumber. To prepare, the leaves should be cut into small pieces as they will expand during cooking. Wakame is low in calorie and known for its ability to aid in weight loss and to boost energy levels. 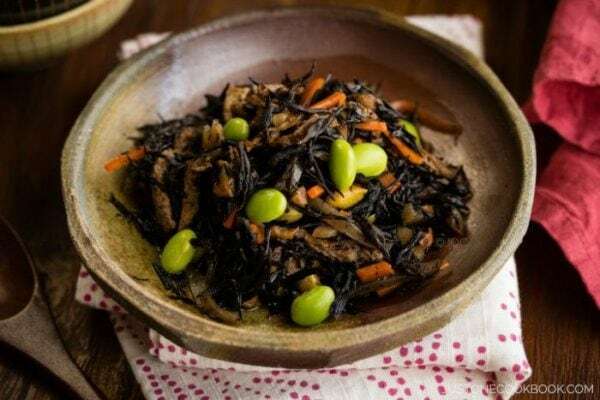 You will find dishes featuring wakame are typically dressed with simple vinegar and soy sauce. 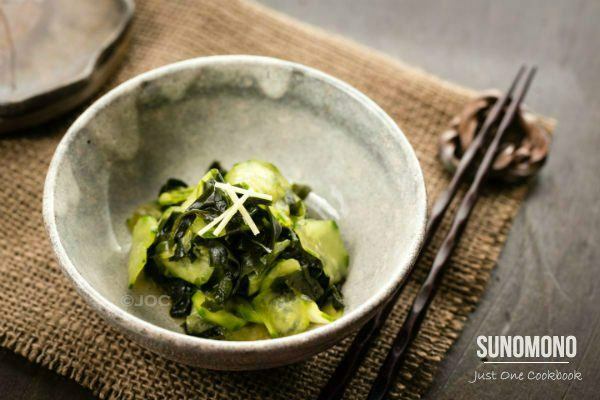 One of the most trendy wakame dishes is Goma Wakame, where the seaweed salad is lightly dressed with roasted sesame seeds, soy sauce and vinegar. A brown variety of seaweed, hijiki grows wild on the rocky coastlines of Japan, China, and Korea. 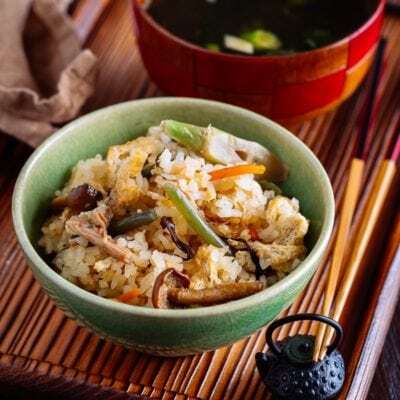 Hijiki may be a lesser known seaweed of Japanese cuisine, but it is a favorite sea vegetable prepared at Japanese homes. 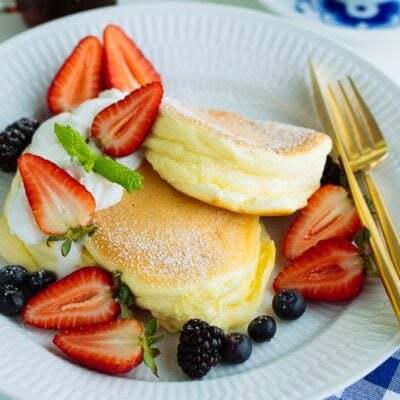 Aside from its many health benefits, Japanese strongly believes that consuming moderate amounts of hijiki can give you beautiful, black lustrous hair. 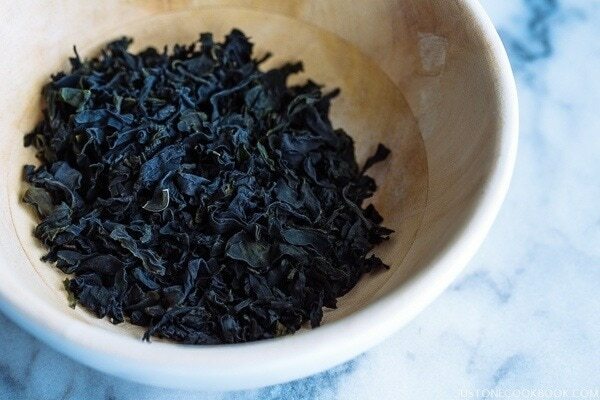 Comes in sprig-like dried form, hijiki almost resembles of dried black tea leaves. To prepare for cooking, the seaweed needs to be first rehydrated then cooked with soy sauce, sugar or other seasonings. This seaweed is one of the secret ingredients of longevity of Okinawans, along with other superfoods such as tofu, turmeric, local greens, and goya (bitter gourd). 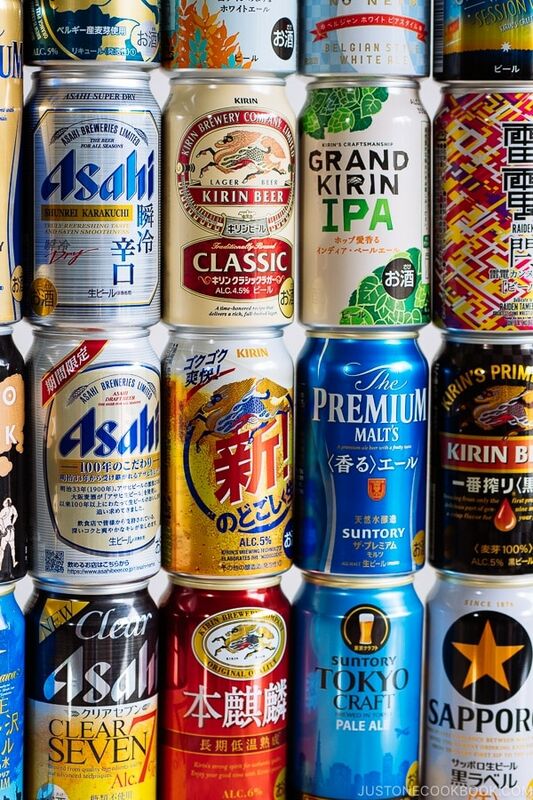 Surrounded by shallow clean water and temperate climate, Okinawa is Japan’s largest producer of mozuku where it accounts for over 90% of output nationwide. The harvest season is from March to May and it is almost entirely farmed by the locals, and then distributed to the mainland of Japan. Mozuku has a unique, slimy and long stringy texture. 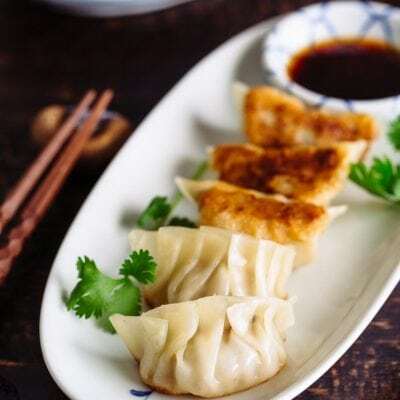 While the most common way to eat mozuku is from the packages that have been dressed with vinegar seasoning, the seaweed is more versatile than one can imagine. 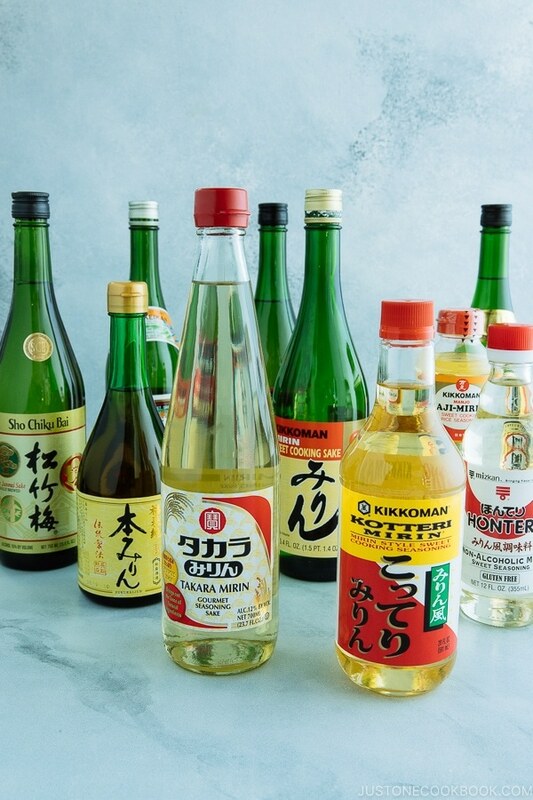 Some creative home chefs in Okinawa even use mozuku in dishes such as crispy tempura, gyoza, chilled soup, stir fry, omelette and so on. To learn more about mozuku and its relationship with the Okinawan people, you can read this article published by the Okinawa Institure of Science and Technology. Many studies have shown that seaweeds are extraordinary source of antioxidants, which is vital to prevent inflammations. 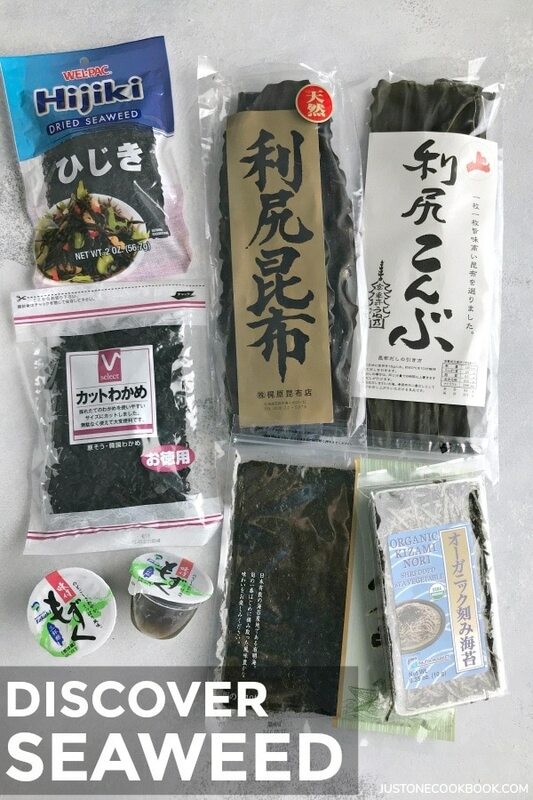 In Japan medical field, seaweeds are recommended to be included in the diet to help protect against chronic diseases such as cancer, stroke, arthritis and lifestyle-related illnesses such as obesity and high blood pressure. 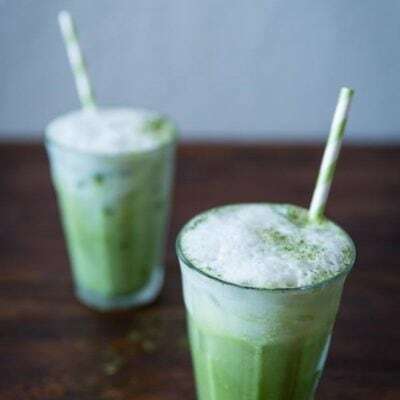 A paper published by Dr Jane Teas of Harvard University shows that kelp consumption might be a factor in the lower rates of breast cancer in Japan. Rich in vitamins A, C, E and K, seaweeds are accredited for improving skin and hair health. They are also high in Vitamin D, which helps the absorption of calcium for healthy bones. Amongst the vegetables, seaweeds are an incredible source of minerals, most notably calcium, copper, zinc, magnesium and iron. 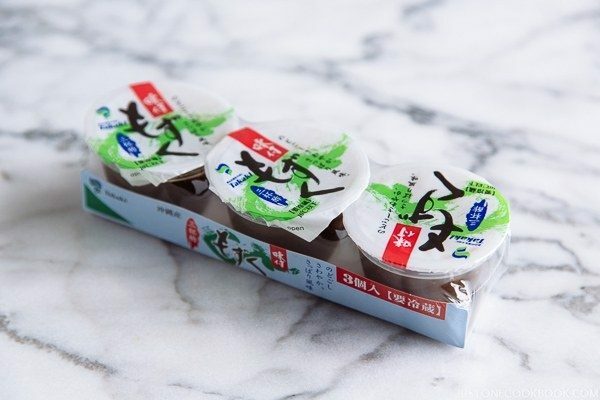 For example, hijiki alone contains far more calcium than milk. Another outstanding health benefit of seaweed is iodine. Iodine plays a major role for strong metabolism of cells, which is essential to convert food into energy. It is also needed to maintain a healthy thyroid and the balance of our hormones. For vegetarians and vegans, seaweeds provide a great source of omega-3 fatty acids DHA and EPA, which are often missing in other plant foods. Omega-3 fatty acids offers the best support for cardiovascular and cognitive health. A terrific source of probiotics and dietary fibre, seaweeds can aid digestion and weight loss since they are low in calorie. Its complex enzymes and carbohydrates can help to breakdown sugars sugars that are normally indigestible to the human gut. 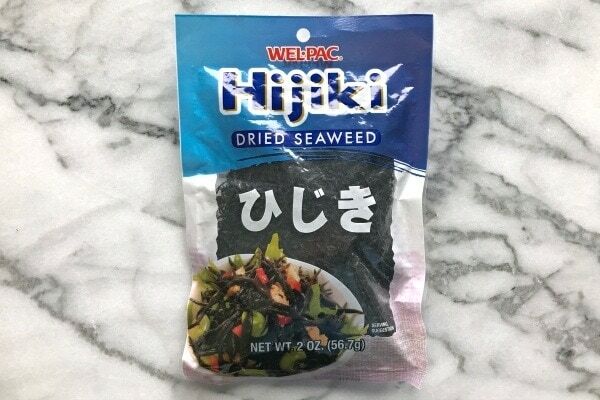 If you live near a Japanese grocery or a well Asian market, you should be able to find assorted seaweeds mentioned above. 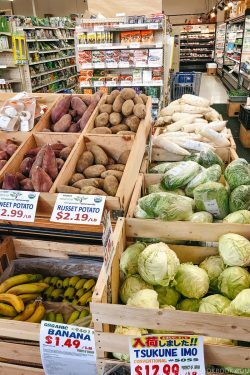 Most of the natural food stores also carry them these days. With the gaining popularity, you can even find packages of seaweeds sold at Whole Foods or online from a number of sources such as Amazon or iHerb. While the benefits of seaweeds for our health are proved to be abundant, there are some potential concerns with regard to consuming seaweeds. Due to to the high level of iodine, those with thyroid disease or susceptible to it should enjoy seaweed with caution. If you are advised to be on a low-sodium diet, you want to be careful with certain types of seaweeds which may have higher level of sodium. 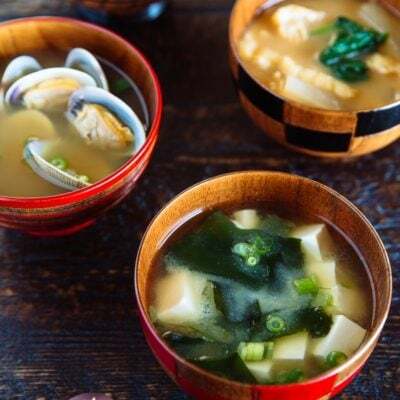 To reap the benefits of these sea vegetables, seaweed should be enjoyed in moderation along with a well-balanced diet just like the Japanese belief that moderate eating keeps the doctor away. Did You Enjoy Learning about Seaweed? We hope you get to incorporate more seaweeds into your daily diet and enjoy a strong, healthy life. Have learnt such a great deal from the article on seaweed. Altho’ I have been to Asia many times and eaten seaweeds both there and at home there were many facts I did not know. Had never heard od ‘hijiki’ for instance 🙂 ! Now: would you know whether the green sea vegetable we call ‘samphire’ here in Australia is also counted as a seaweed in Japan or indeed is it known there? Thank you so much for taking the time to leave a comment here, Eha! So glad that you found the article useful. Yeah, the varieties of seaweed is aplenty! Don’t even get me started on the seaweeds that are used in Chinese cuisine:) Not aware that samphire is used in Japan. Probably mostly used in England, Australia, Ireland and western countries? We will need to find out. Great post. I’ve only had a few of these. Aonori and hijiki are something I want to find and use. 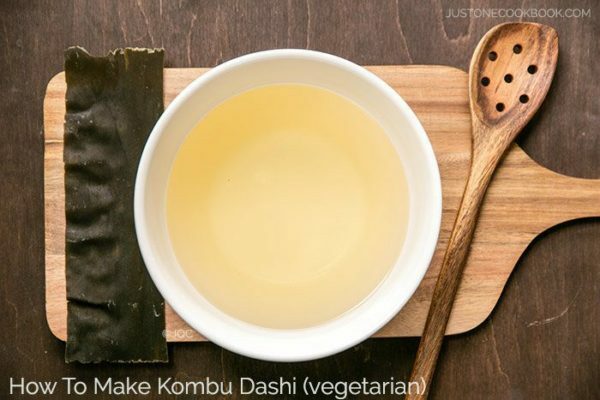 Hi, can you use the kombu kelp in any way after preparing dashi with it? Hi Robin – it is safe for your grandchildren to eat seaweed dishes. 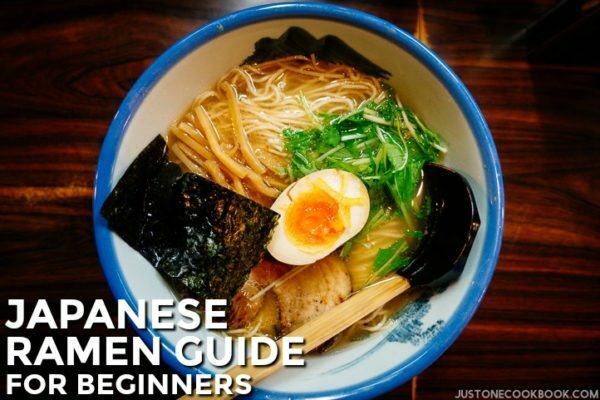 All Japanese and Asian families let their children eat seaweed dishes starting a young age. Everything in moderation of course. You can always start with the safe ones like kelp and nori. Thank you for the informative article! I was just wondering if there are any concerns associated with consuming any of these types of seaweed because of ocean or water pollution? Are there huge differences in quality and hygiene, depending on where you are buying and in what form ie. fresh or dried? Any hints on where I could get this type of infomation would be much appreciated. 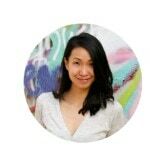 Hi Aly – Glad that you found this article useful. You brought up a legitimate concern about consuming seaweed. There are some quality Japanese seaweeds available. You can look out for the organic label. If you’re in the US, what I’d suggest is to buy seaweed from places like Maine & Northern California. Good news is with the rise of plant-based diets, we’re seeing some dedicated seaweed farmers in the US advocating for sustainable and environmentally friendly ocean kelp farming. As for fresh or dried, both are fine depending on what’s available (although they are typically available in dried or powdered). Read the ingredients to make sure it’s minimally processed. You can visit the companies websites or find some of the brands available at Whole Foods/ local co-ops or Amazon.